STRUMIS LTD is pleased to be attending and exhibiting at the Kaltenbach International Partners in Steel (IPS) event in Lörrach, Germany, from 14th – 17th May. This bi-annual event sees professionals from the international steel and metal industries meet at KALTENBACH in Lörrach, Germany for this trade show. 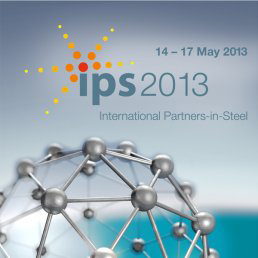 IPS show opens its doors under the motto "If Steel Is Your Deal – Today. Tomorrow. Together”. "If steel is your deal”, then IPS is where you can see the latest Steel Fabrication software - STRUMIS – Steel Fabrication Management Information System, which can deliver efficiencies, increased productivity. Mr Simon Inman, STRUMIS LTD’s Technical Director comments, "The IPS event is very valuable for STRMIS LTD as we are able to directly interact with industry experts to discuss the benefits of our software solutions for the steel fabrication sector and wider construction industry". STRUMIS LTD will be exhibiting on booth number 13 and welcomes any delegate registered/attending IPS 2013 to drop by and see us, where our sales representatives will be demonstrating our solutions for efficient structural steel fabrication management. Our team will be showcasing and demonstrating our STRUMIS system for larger and medium sized steelwork fabricators, in conjunction with our new Essentials solution for smaller fabrication shops. We will also be demonstrating our Building Information Modeling (BIM) collaboration software BIMReview and introducing BIMProject our brand new construction lifecycle management software for procurement and construction teams. Or, if you are not planning to attend IPS 2013, you can still request a personal FREE no obligation demonstration on any of our software suites, please click here.